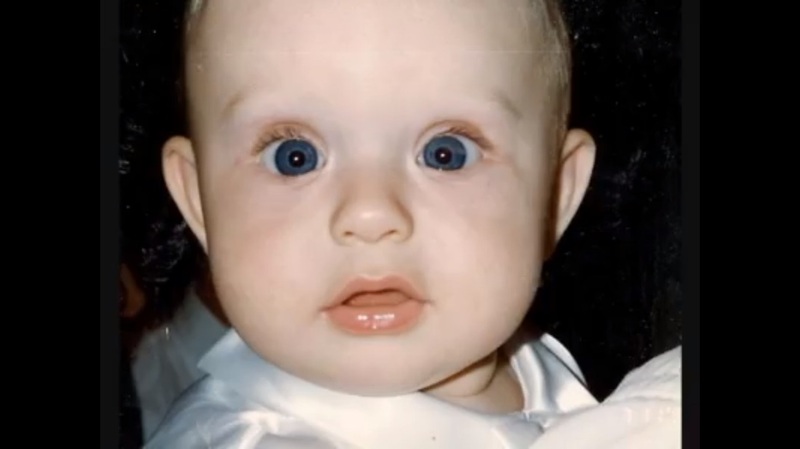 Charlie came into this world on January 14, 1993 with a quirky personality and big blue eyes. As a baby when he was waking, he would stretch his long skinny neck like a giraffe. I would hold him for hours on end and never wanted to put him down. I thought being a mom was the best thing ever. Charlie was full of energy and loved the movie Dumbo, as well as many other Disney movies that he would have to watch over and over again. He would love to play with his little brother Reiley. They were always so busy together. They would dress up in their Toy Story costumes, Charlie would be Buzz and Reiley would be Woody. Reiley said he would remember after preschool going to get ICEES with his brother and laughing. They loved listening to stories that were read to them before bed. We (Grandma and I) would take them for walks in the neighborhood and he would love to go faster in the wagon. I would also practice being a teacher with Charlie and Reiley and they enjoyed my lessons about planets out on grandma's back porch. He would enjoy taking Reiley for a ride in his Jeep with their cowboy hats on. Charlie was a fabulous student mostly because he was very competitive. He was passionate about all of the activities he participated in and always gave 110% at anything he did. He tried many sports before he ended up playing hockey. That was where he started with learn to skate classes, but due to the cost I tried to deter him and he ended up back where he belonged - hockey. He ate, slept, and drank hockey and knew so much about it. He ended up playing most of his hockey career with AZ Mission Hockey under Jeremy Goltz, who he admired. He made many life long friends while playing hockey, such as Chris and Connor. He spent so much time playing, that they were at times just like his family. Charlie did always think he was an expert in whatever he participated in, which later in life some thought he was an academic snob. He was an easy child for us in school because he always did what was expected. Although, there were times he caused a ruckus such as sneaking out of the house with his sister and their friends to teepee or having air-soft wars with his brother. There was also a time Charlie and his brothers were going to be rich by standing on the corner to sell their Pokemon cards. His siblings , Reiley, Kenny, and Lauren, would all get together in his room to play RockBand for hours. Charlie enjoyed skiing, scuba diving, quad riding, water skiing, and power lifting. Power lifting began after he could no longer play hockey. He met another lifelong friend at the gym, Blane, another person he admired and respected. Brady, his little brother, also came into Charlie's as a teen. Charlie and Brady had a special relationship where they had a lot of the same interests, such as hockey and skiing. They would race each other down the hill, yet Charlie was so competitive he would still not let a little guy beat him. Charles Edward Price (aka Charlie, Chuck) was born on January 14, 1993 in Illinois and passed on March 23, 2016. Our Charlie was an amazing young man that can not be described by these terms alone, but he was ambitious, competitive, compassionate, intelligent, and had a great sense of humor. - Wayne (Theresa) Price, siblings Kenny Levake, Lauren Levake, Reiley Price, Megan Price, Brady Levake, and Cameron Price, Grandparents - Rita Rautenberg (Grandma), Yvonne Brandt (Granny), and Steve Brandt (Pappy), Cindy and Jim White. He will be missed by so many aunts, uncles, numerous cousins, and countless friends. As he entered the world, he changed our lives forever and as he left it will never be the same. Brady- My favorite memories are when I would ski with Charlie and we would zig-zag down the mountain to race each other. I loved how he took his time with me to show me some hockey tricks. “Whenever I was around Charlie I just felt safe, he made me safe.” I loved hanging out with Charlie and Zo-bles. We would throw the ball at her and just love on her. Mom (Sharon) - As I sit here, there are so many emotions that come to mind. I feel so cheated, I brought you into this world and it was not my plan to let you go so soon. I wish you would have known that I loved you exactly the way you were. The sun rises in my eyes when you smile. When I gave birth to you, the miracle never left my heart and changed me forever. I fell in LOVE with you and could not stop staring at you. When you were a baby I cuddled you in my arms and smothered your sweet chunky cheeks with kisses. The bond between us was a special one. I was so proud of you no matter when or where we were - I always wanted everyone to know that I was your mom. When I watched you at hockey games, I pointed you out. I talked about you all of the time. Those bright blue eyes and your pinchable cheeks. When we went to Utah, I was that annoying mom that wanted to meet some of your professors and friends, that I made you introduce me to your teacher. It was because I wanted them to know what a great guy they were getting as I left you there. I had always felt so in awe of you - when I stood by you my heart felt 100 times bigger. I could simply look at you and my heart swelled with pride because I know how amazing you are. Your smile alone would light up my life. Each conversation on the phone was so special as I would call to bug you, just so I knew that you were okay. You would always respect that I was your mom and justify what your day was like so I felt better. When you told me you were coming home on Wednesday and I could pick you up, I just felt so blessed that you would allow me - like I was special in your eyes. As of now, my heart aches - I cannot explain the feeling, but I know my life will NEVER be the same - NEVER. I wanted to scream I am so mad that I will never experience the next steps in your life like a wedding or you having a family. You had warned me before that it would never happen and I would tell you different. I guess you got that last word as usual. That was your way when we argued. I wish I could have one last hug, to feel safe in your arms.